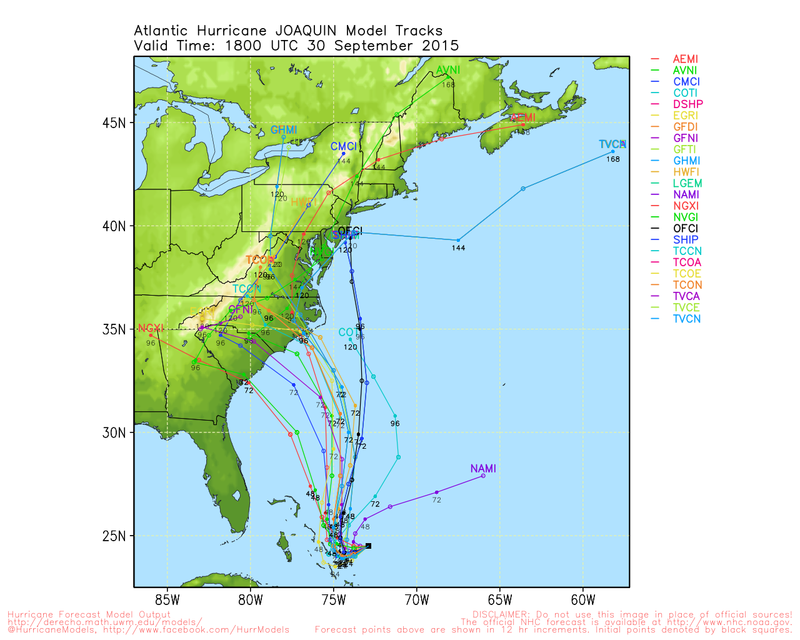 Hurricane Joaquin has steadily strengthened through the day today. It is starting to take on a classic hurricane look to it. Also, getting some central dense overcast developing around the center. As a result, the eye of Joaquin is starting to develop. Maximum Sustained Winds: 105 MPH (Closing in on Major Hurricane Status). Movement is southwest at 7 MPH. Currently located roughly about 80-95 miles east-northeast of the Bahamas. Hurricane Warnings remain in effect for the Central and Eastern Bahamas. 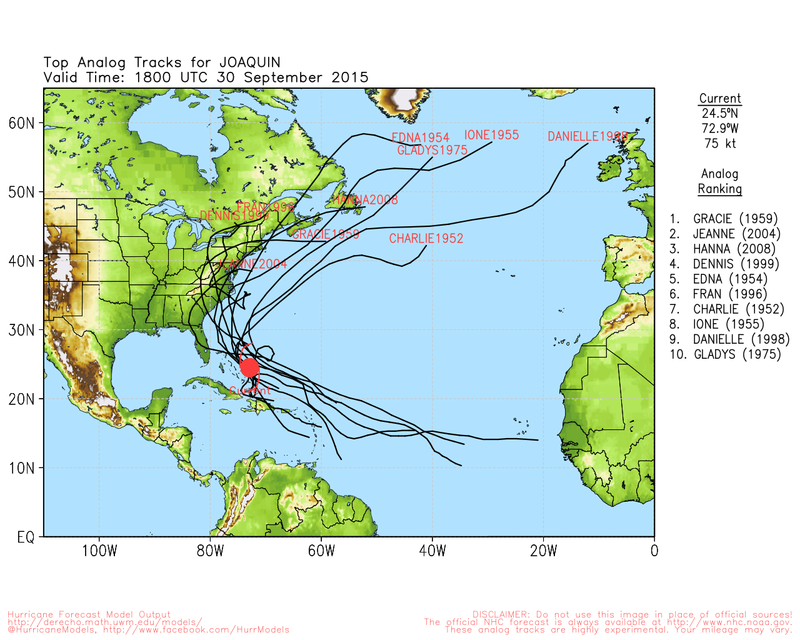 The middle Atlantic coast looks to have the best opportunity to receive a direct hit from Joaquin. Interests from the South Carolina/Georgia Border all the way up to Washington DC/Baltimore and New York City need to keep up to date with the very latest on Hurricane Joaquin. Given the fact that Hurricane Joaquin has strengthened steadily through the day, the distinct possibility is there that Joaquin could border with Category 4 hurricane status. 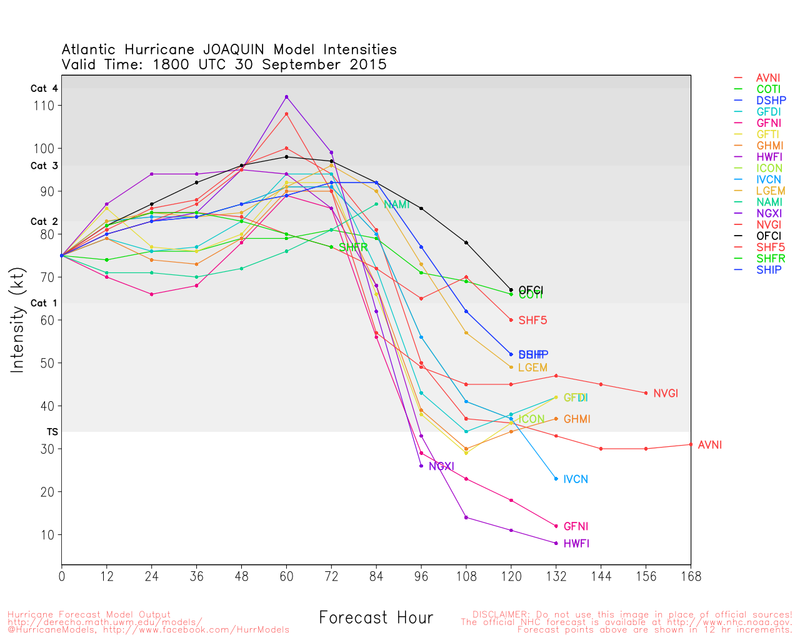 At the very least, Joaquin will most likely be Category two or three when landfall occurs. Looking at the analogs from years past indicate that where Hurricane Joaquin is located currently, impact has been felt along the east coast. Stay with Weather or Knot for the very latest on Hurricane Joaquin.